The first time I saw a sailplane was in the parking lot of a grocery store in Mililani, Hawaii, when I was 11-yearsold. Civil Air Patrol (CAP) volunteers brought it up in a trailer from Dillingham Airfield on the North Shore of Oahu and assembled it as a recruiting tool for new members. They invited me to sit in the front seat and operate the controls, while volunteers moved the wings up and down. I couldn’t wait to join CAP as a cadet and start soaring in their SGS 2-33 gliders. 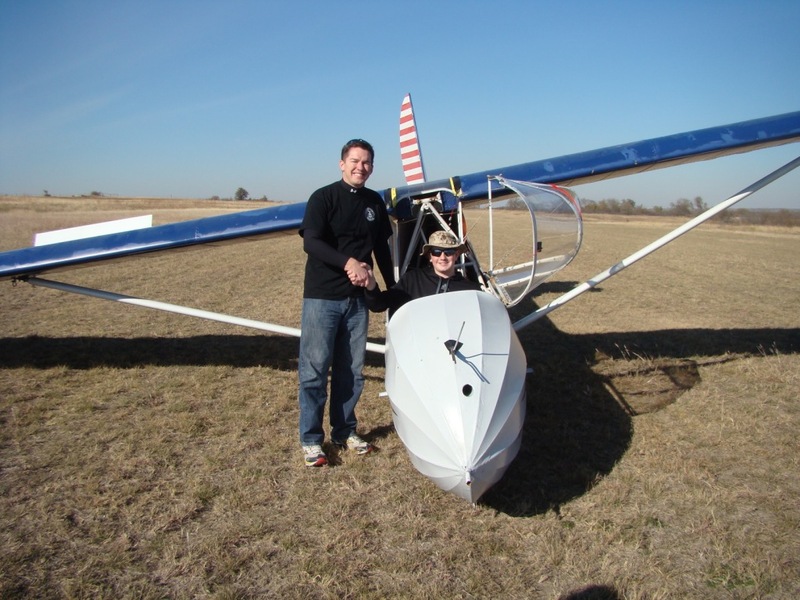 In the spring of 2012, I was able to help rebuild the North Texas CAP gliding operations program at Bishop’s Field in Decatur, Texas. Funding permitting, CAP provides five introductory soaring flights to all cadets who are 12-17 years of age. Our local CAP squadron has about 45 cadets, which means we had a source of funding for over 200 glider flights. Our unit is one of the about 60 in the state of Texas, which means the two soaring programs in Texas (the other is in the Houston area) should have the opportunity to fly hundreds of glider flights a year for years to come. The North Texas CAP gliding program presently operates three gliders, including a L-23 Super Blanik and SGU 2-22 owned by CAP and a SGU 2-22 owned by CAP CFIG Lt Col Tom Bishop. We have several CAP Cessna 182s available for towing, in addition to Bishop’s privately owned Cessna 182. We operated from May through November last year and eventually hope to provide continuous operations throughout the year. In addition to the cadet orientation program, I personally wanted to establish a training program for cadets and adult members (called senior members). So many volunteers in the CAP’s Hawaii Wing helped me learn to fly, and I felt an obligation to pay back their efforts by helping current members in Texas. We were able to obtain limited funding to help train a tow pilot, which also allowed us to provide free glider flights to a number of our senior members. Several of those senior members are currently working toward their add-on ratings, which will allow them to serve as orientation pilots and CFIGs in the near future. In addition to the cadet orientation program, CAP also operates a number of national glider flight academies at various locations each summer and several states offer their own glider academy. About 200 cadets each year learns to fly at a national CAP powered or glider flight academy. Cadets and seniors are also permitted to use CAP gliders toward any gliding rating, although the cost varies by location and type of tow. SSA clubs looking forward to expanding operations and membership need look no further than local CAP squadrons and wings (each state is a separate CAP wing). Local squadrons can be readily found at www.gocivilairpatrol.com and search the “Find a Squadron Near You” box. Local squadron leaders should be able to place you in touch with their state’s wing commander or director of operations, who can discuss the possibility of establishing a relationship between your club and their units. CAP presently flies about 7,000 glider sorties each year, many of which are in gliders owned by clubs like yours. With only 52 corporate–owned gliders, CAP relies on its relationship with SSA clubs to fly its cadets. I would encourage you to develop cost-effective training programs for cadets beyond their five orientation flights. Invite local CAP members out to a club soaring day and offer them a free drink and hamburger. CAP members who have completed the online SSF Wing Runner program are allowed to help with ground soaring operations. Training programs for CAP cadets and adult volunteers are essential for long-term growth of soaring. I wasable to solo my first CAP cadet just few months after obtaining my CFIG; it was a great experience, and I look forward to helping many more cadets earn their glider pilot wings.